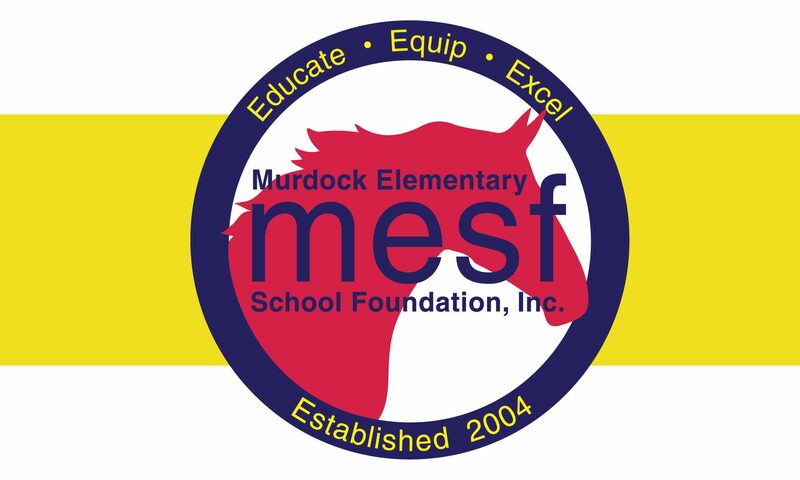 Fundraisers – MESF: Murdock Elementary School Foundation Inc.
MESF holds two major fundraisers each school year: the Patron Program in the fall, and the Murdock Mustang Raffle in the spring. These two events fund the majority of our budget. To help meet our full operating budget, we also sell Birthday Messages on the new electronic marquee as well as student artwork at grade level Art Shows. Your gift to the MESF Patron Program will support a year full of Science, Technology, The Leader in Me, and much more at Murdock Elementary. MESF asks for a donation of $125 per family; however every gift will have a powerful impact on Murdock students, so please give as you are able. Our ultimate goal is for every Murdock family to make an investment in our students. Please make your donation online here, or you can print out and complete the Patron Program Giving Form and send it in with your child or deliver to the front office. Your gift will mean a more enriched education for every Murdock student! Questions? All donations to MESF are tax deductible. MESF is a not-for-profit 501 (c) (3) Corporation. Thank you for your support. The Murdock Elementary School Foundation is a 501(c)(3) tax deductible foundation. This means your donation to the foundation is 100% tax deductible. In addition to your generous giving, you can also help MESF meet its fundraising goals by checking to see if your employer will match your generous giving. Many employers will match eligible contributions made by employees and/or spouses. Your donation to the Foundation could even be doubled or tripled! See if your employer will match your donation using Double the Donation. We urge you to take the necessary steps to secure a match – 100% will go right back to Murdock students and staff! We have partnered with Double the Donation to make the process quick and easy – no more than 5 minutes of your time! Simply type in your company name to get started. Every program is different, so please contact your Human Resources department if your company isn’t found in Double the Donation. If needed, access our Tax Determination Letter here. If you have any questions about this process or are unsure if your company will match, please contact us. Each spring for 2 weeks, MESF sponsors the Mustang Raffle. This hugely successful fundraiser is designed to allow Murdock families to raise dollars by selling tickets to friends, family, co-workers, neighbors, etc. Murdock students are eligible for lots of fun prizes, such as: Sellers Club movie night, sling bags, treasure box goodies, and more! The ticket purchaser will have a chance to win one of three exciting prizes. Past prizes have included: Atlanta Braves family package, iPad, $1,000 cash. Expenses are kept low through donations and there is little to no classroom interruption. If you are interested in Raffle sponsorship/partnership opportunities, please contact us. Click here to learn more about The Mustang Raffle. Each grade level will have an art show in conjunction with their PE/Music performance. Your child’s artwork will be matted, framed and displayed at Pope High School or Murdock Elementary. The art is available for purchase the night of their performance only for only $30.00. All proceeds from the art show benefit MESF! All major credit cards as well as checks and cash are accepted at the event. Questions? Click here to purchase artwork. Honor your child in a very special way – for only $35, your child’s name and special message will be displayed on the new electronic marquee in front of the school for an entire week. All proceeds go directly to MESF to benefit the school. A link to sign up for the 2018-2019 school year is available until August 31st. After that time, no further reservations will be accepted. Online payment via credit or debit card is required to reserve your week. Questions? Contact us at marquee@mesf.org for more details. *Sign Up for Birthday Marquee is now closed. You will be able to sign up again August 1-August 31 2019. Thank you! Looking for the Chick-fil-A Biscuit Mornings Program? Thanks so much for your interest in Chick-fil-A biscuit mornings at Murdock Elementary. This program, once handled by MESF, is now run by Murdock’s PTA. Check out their website for more information on the biscuit program and the biscuit form. Any questions can be directed to the Biscuit Program via email to vp.fundraisingmurdockpta@gmail.com. Thanks for your continued support of this wonderful program!